Downtown Iowa City is home to many wonderful restaurants and locally-owned specialty stores. We hope you will spend some time enjoying all that our downtown has to offer before or after visiting the Englert! 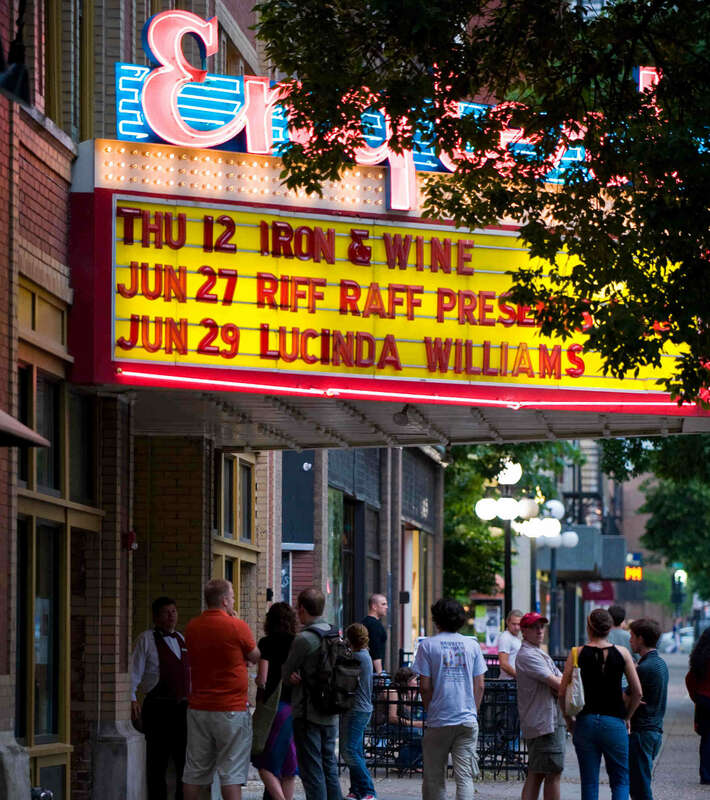 Downtown Iowa City is home to dozens of unique restaurants within walking distance of the Englert. The Graduate Hotel and hotelVetro are located only one block away. Click here for more information about downtown Iowa City. When planning your evening downtown, please keep our Englert Eateries in mind. We have partnered with several Iowa City restaurants to highlight the finest downtown has to offer. Better yet, a donation of $100 or more gets you a $25 Englert Eatery Gift Certificate. Please consider a donation to help support both the Englert and your favorite restaurant! (a “T” intersection with Washington Street). Turn east (left) onto Washington Street. The Englert is half a block down on your right. Limited street parking is available in front of the building. Several parking ramps are conveniently located just a short walk away. Iowa City Downtown District gift cards are available for purchase at the Englert. Give the gift of Downtown Iowa City with cards in $5 through $500 denominations that can be redeemed at any business currently participating in the Downtown Iowa City Gift Card program (including the Englert! ).